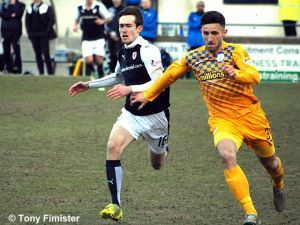 We are more than delighted to announce that fans’ favourite Ryan Hardie (19) has rejoined Raith Rovers on a Development Temporary Transfer until the end of the season. The on loan Rangers striker’s performances in the second half of last season were a key part of last season’s Play Off push, and manager Gary Locke has pulled out all the stops to secure Ryan’s services for the remainder of this campaign, against stiff competition from several other clubs. However, there was never any doubt in Ryan’s mind that he wanted to return to Kirkcaldy, and happily Rangers’ management agreed that this is his best option to further develop his career. Ryan is available for selection for tomorrow’s Ladbrokes Championship Fife derby vs Dunfermline Athletic at Stark’s Park. Tickets are on sale at the Ticket Office from 11.00am on match day.